Find gym equipment that helps you work out all of your muscle groups. Most people find it incredibly hard to motivate themselves to work out, and oftentimes, they attribute this to a lack of self discipline and a general disinterest in working out. However, it is possible to increase your motivation by choosing the right workout methods and the right setting. For many people, a simple change of setting coupled with a more enjoyable fitness exercise routine is all they need to get motivated and into shape. Different people are motivated by different kinds of experiences and settings. While some people thrive in the gymn and feel that it brings out their competitive nature, others fear the gym and worry that they will look silly in comparison to the regulars who exercise there. If you do not like comparing yourself to others while you're working out, or if you simply prefer privacy over social settings, you can easily install gym equipment in your home. Some people thrive in social settings and many people actually find that working out with other people is both comforting and more stimulating than exercising alone. Joining a fitness center that has regular classes and group workouts is a great way to find your motivation. If you're new to these types of classes, or if you haven't worked out in a very long time, be sure to try the beginners classes to ensure that you don't frustrate yourself by trying to do routines that you aren't ready for. 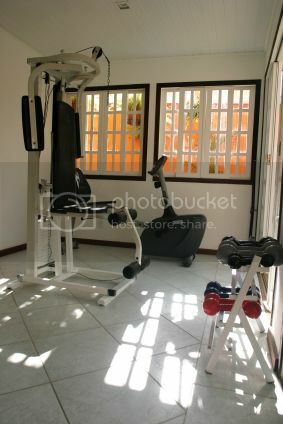 Installing a good home gym will take time and you should expect to spend a good amount of money on your equipment. The trick to getting the perfect gym is to find gym equipment that helps you work out all of your muscle groups. You should also look forward to using the equipment that you purchase, and it should not be difficult for you to learn how to use the different machines. Equipment that is too difficult to master may deplete any motivation you have and lead to hours of frustration as well as buyer's remorse. 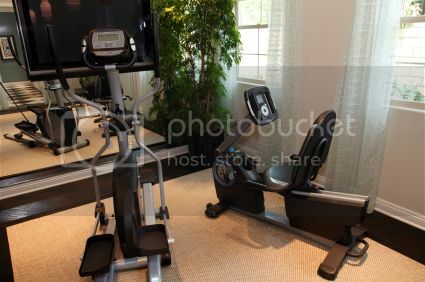 Some common machines that people invest in for their cardio include treadmills, ellipticals, and stationary bikes. It's important to look for machines that allow you to set the pace of the workout easily or the machine should have adjustable resistance. Machines that have built-in workout programs that are easy to select as well as heart rate monitors are also worth considering. To build muscle, a gym should typically include free weights, a chin-up bar, and a leg press at the very least. If your budget isn't too tight, you may want to consider investing in a single-unit complete home gym instead of separate pieces. These gyms combine all of the equipment that is necessary for working your abs, arms, legs, and back into one convenient machine. However, people who have bad joints or experience pain frequently may want to consider using resistance bands for building muscle, rather than weights. For many people, one of the best benefits of joining a fitness club or gym is that membership costs are much more affordable than purchasing equipment for home use. At the same time, you are given complete access to a wide range of equipment for toning your body and getting all of your cardio in. Many gyms also have indoor pools that can be used all year round, regardless of the weather, as well as fitness exercise classes. A fitness club is the perfect place to take part in fun workout classes and learn about workout routines that you may never have done before, such as yoga, kickboxing, pilates, and spinning. At the same time, professional instructors can help you develop the perfect form for each exercise and help you challenge yourself in new ways. Many gyms also offer personal training services for a fee and can tailor a workout program to your specific needs. While most gyms are open to anyone and everyone who can afford the membership and offer a very wide range of classes and equipment, others serve niche markets. There are gyms that are just for women, for example, and these fitness centers may even host special classes for pregnant women. There are also fitness clubs that only host specific types of group workouts, like kickboxing or yoga. Whether you love working out at home or in a more social setting, like the gym, there are tons of great options to choose from. Be sure to experiment and find a routine that is easy for you to stick to and enjoy. For those that will like to build their home gym, watch this movie.